Can you watch a full length movie that has no dialogue? Do you think you can watch a movie of over one hour where the characters don’t talk? 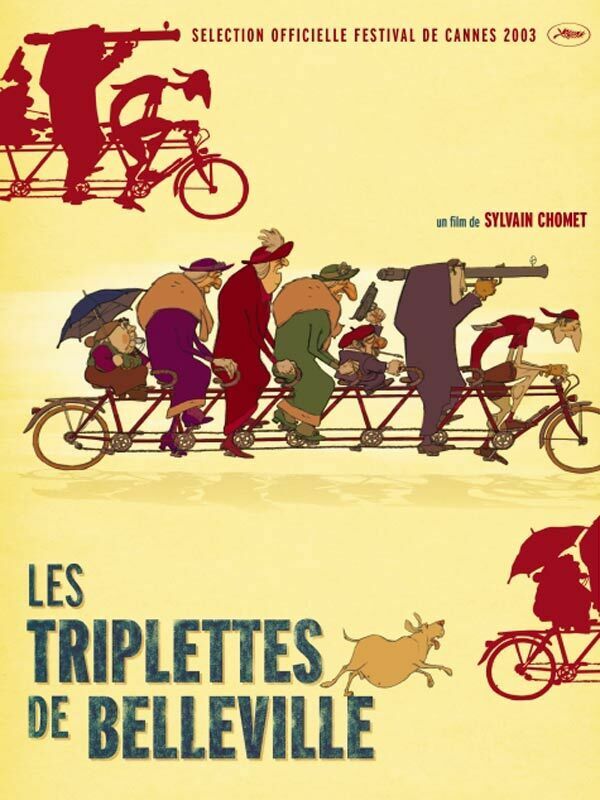 I didn’t think it was possible, but I took the challenge and watched the French movie The Triples from Belleville. The only words uttered in this movie are the refrain on the song in the beginning of the movie (see the clip) and some voices in radio and TV. However, you can safely watch this movie in the original language even if you don’t know French (I don’t either). The story is about a grandmother who loses her grandson to kidnappers while he is racing in the Tour the France. He is taken over seas and she follows him to rescue him. She gets unexpected help from a group of old French singers from the Fred Astaire period.